Things that make me feel SUPER accomplished: tricking a toddler into eating a vegetable, doing a 20-minute post-partum "workout," and keeping plants alive. I have a whole bunch of succulents, but not because I buy one every time I'm at Home Depot (and believe me, I want to!!!). I have only bought three $4 succulents (so for those of you keeping track, that's $12) and here I am with more succulents than I know what to do with. How do I get my little plants to keep growing? 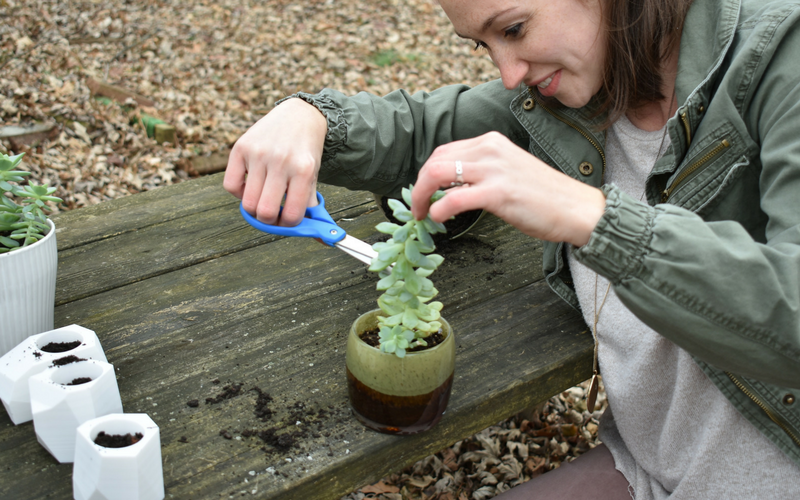 It's so easy: I keep cutting off new sprigs, the tops, or even a random leaf and sticking it in dirt. Dirt that I got from my front yard. 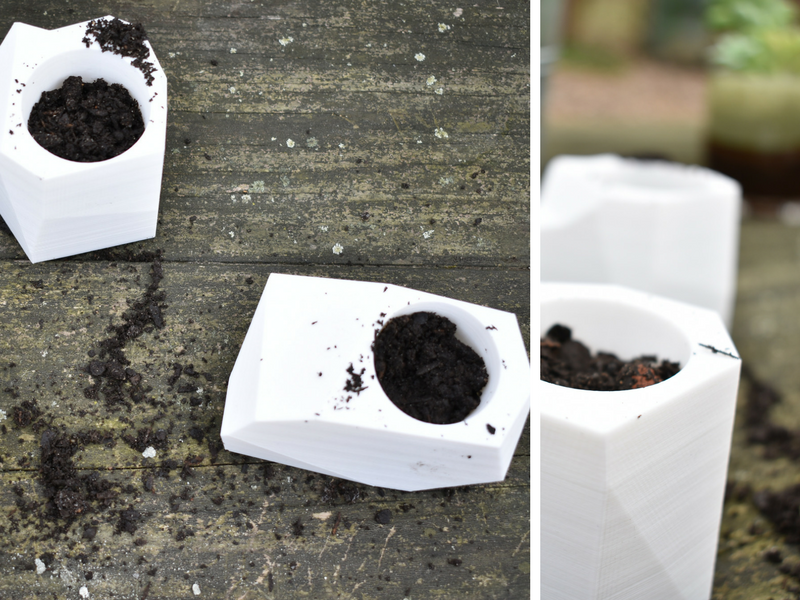 Not even fancy, succulent-ready organic composite dirt. Nope, nope, nope. 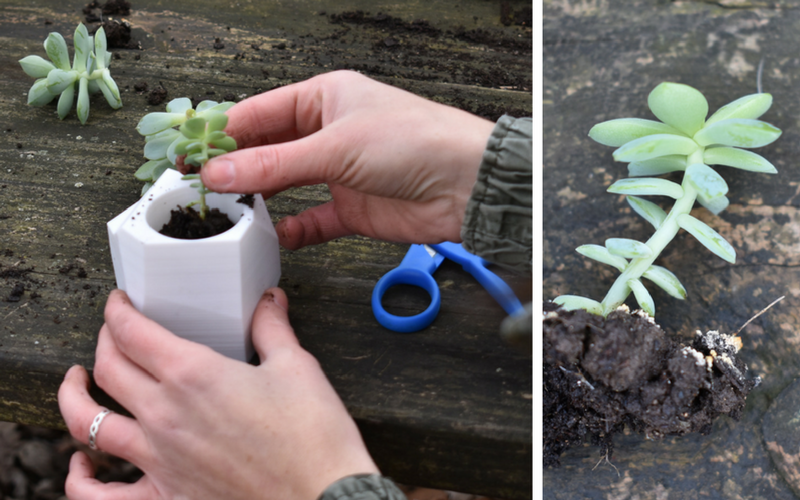 Stick anything you cut off of a succulent into front-yard dirt and it will grow roots. 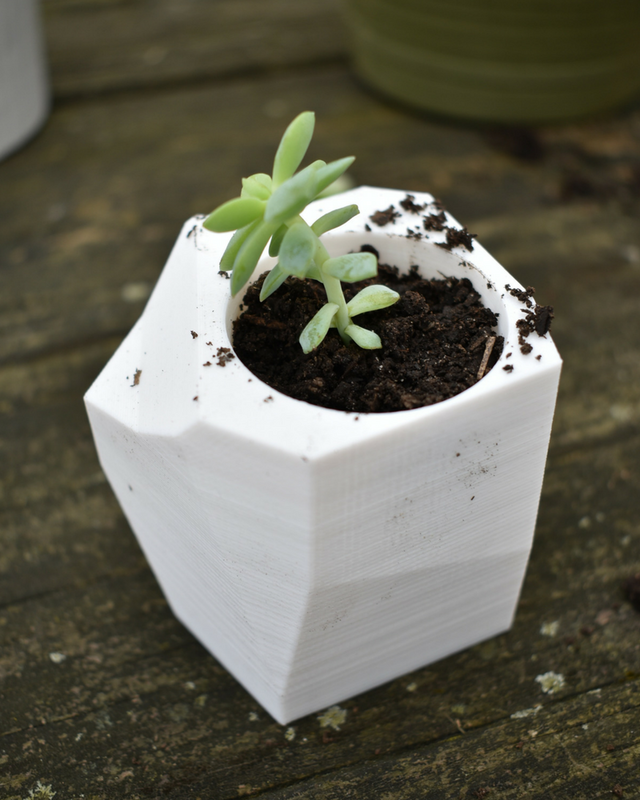 If for some reason it doesn't (your STUPID DOG knocks the planter off the windowsill, you forget to water it for 5 weeks, you left it in a dark corner with no sunlight, etc. ), you just try it again. 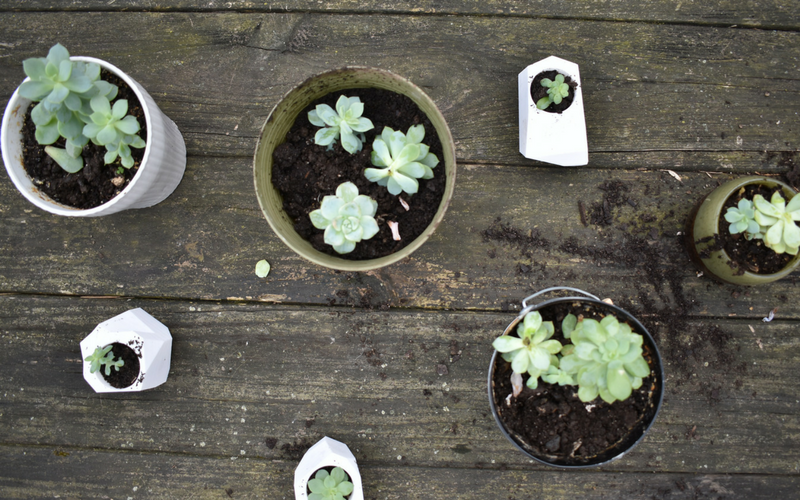 Buy a cheap succulent from anywhere. 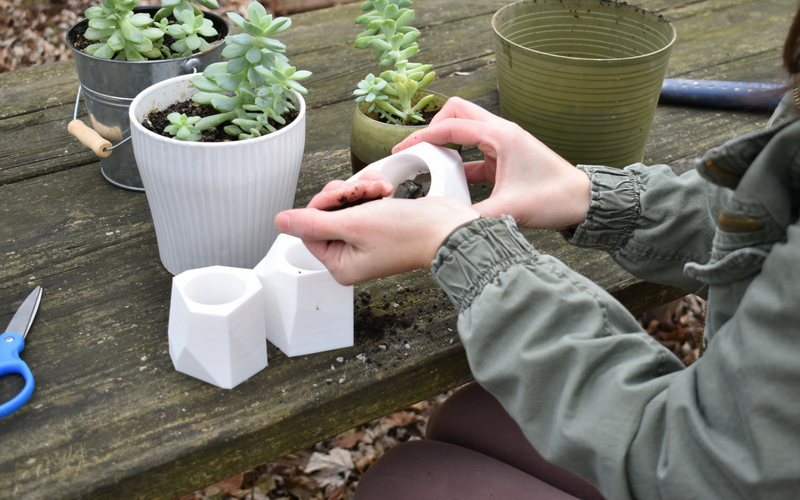 Let it take root in a medium-large planter so its roots are nice and strong. In the new pot, add small rocks (I smashed big rocks with a hammer for my tiny Oak + Oats planters!) and some dirt. 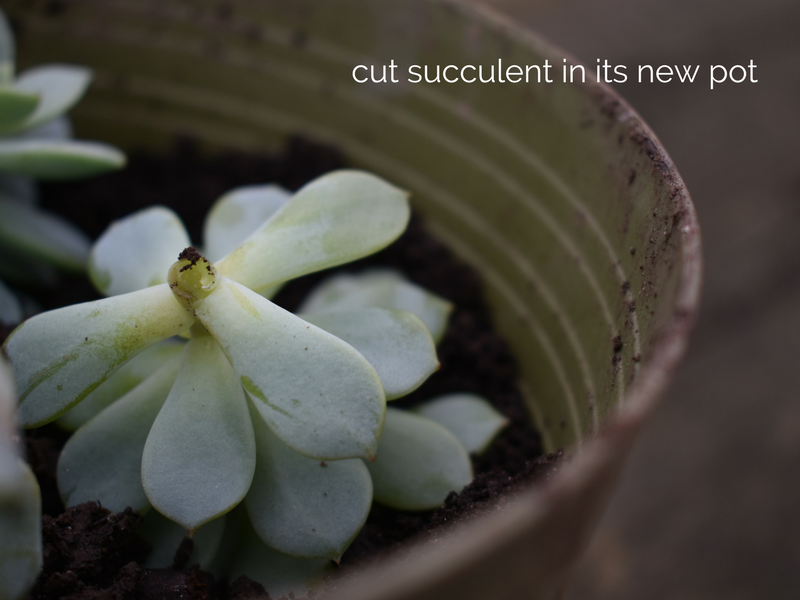 Cut off a leaf, the top, and/or a new sprig that grows from the main stalk. If you pull a leaf off, just lay it on top of the dirt. 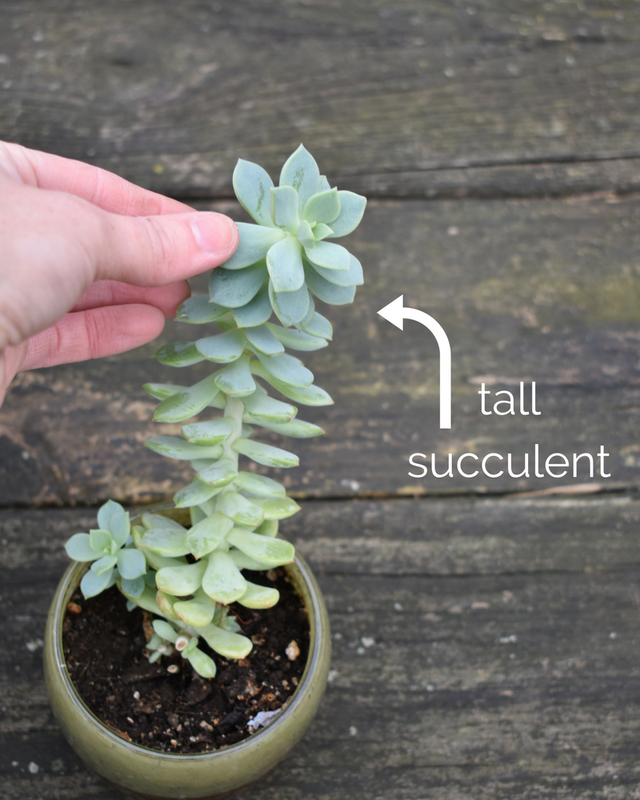 If you cut the top off of a tall succulent (see below), stick the newly cut piece into the dirt. For a new sprig growth, same thing: stick the bottom of it in the dirt. When the soil feels dry, water it a little more. 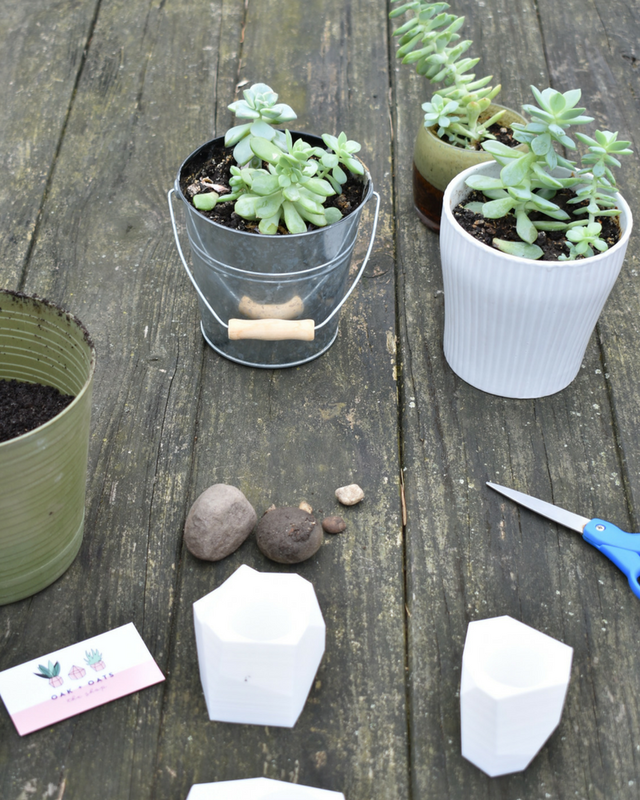 Don't add too much water...usually just a few tablespoons for a medium-large pot works! 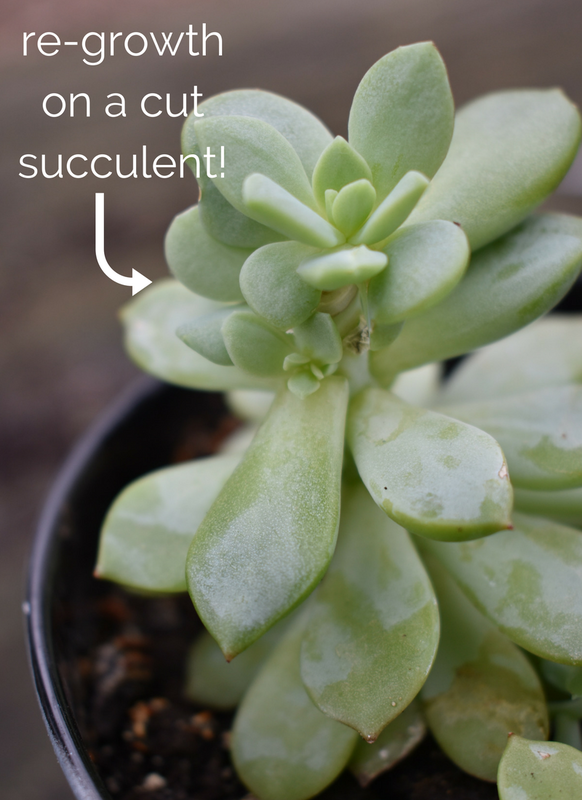 Keep repeating the process to grow even more succulents! 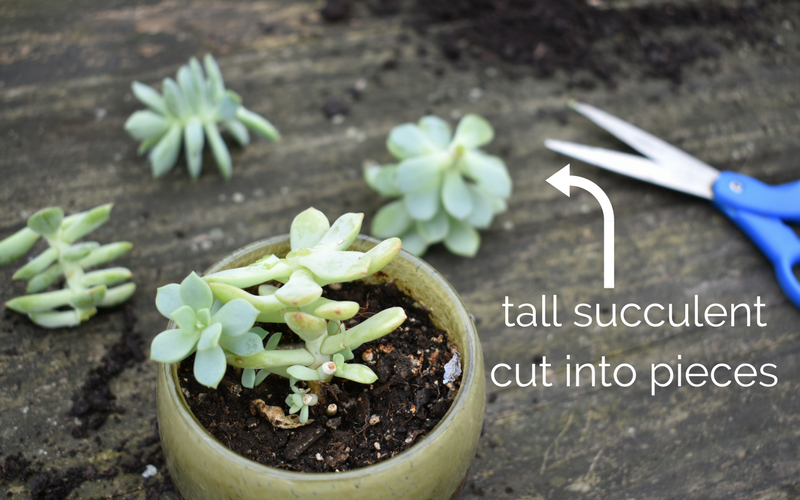 The cut-tops regrow and look AWESOME (see below!). 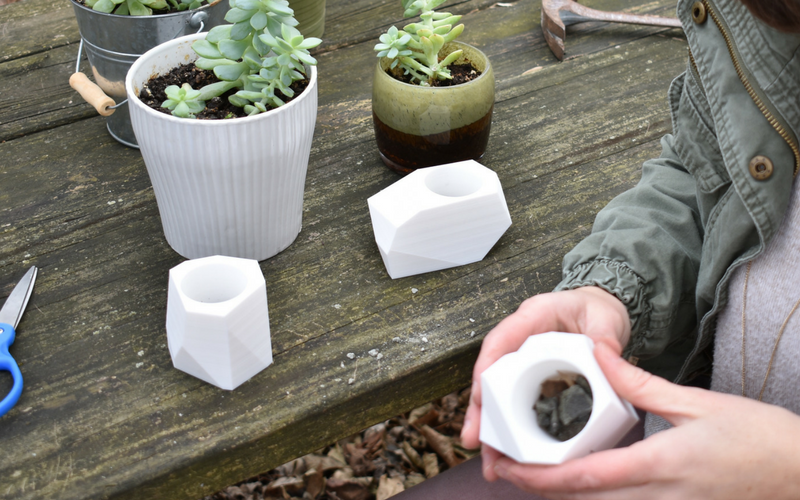 If you need planters but don't want to spend more money, check out my 5 planter ideas.